Having made its way through 5-6 long years underground, undergoing several major transformations, the beetle is finally ready to surface for the first time. In sometime around May to June it tunnels its way up to the surface where it will spend the remainder of its life, which last only a matter of a few months at most, searching for a mate in order to begin the cycle all over again. 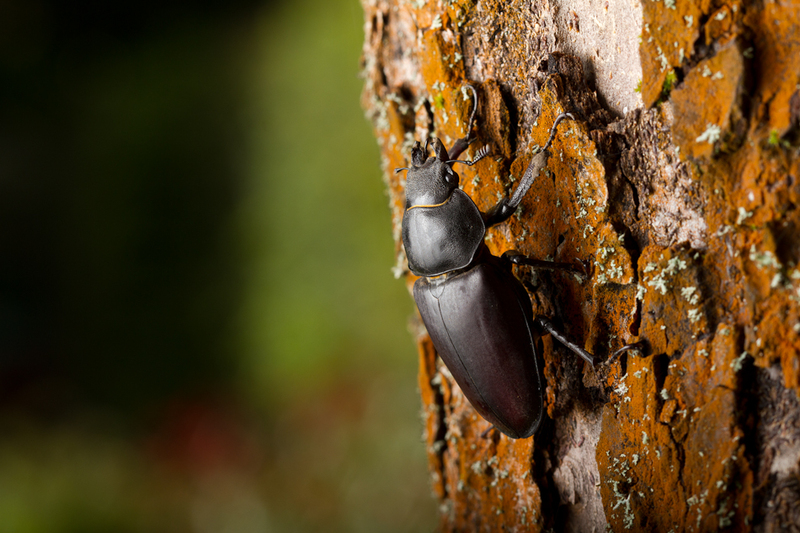 During its adult life the beetle does not feed relying instead on the fat reserves it built up as a larva. It can use its furry, orange tongue to drink juices from fruit, tree sap and water although this seems to have little effect on the length of its life. 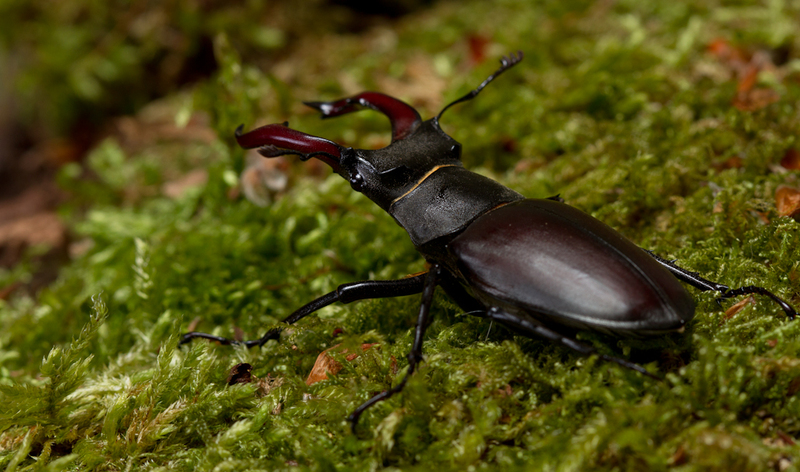 This is the male stag beetle with its characteristic antler-like jaws or mandibles. He will be somewhere between 2.5-7.5cm (1-3″). He will emerge around a week before the female beetles and uses this time to establish his territory. He then spends the rest of his life flying around his territory, mating and fighting off any potential challengers. This is the female beetle. She doesn’t have the large mandibles and is generally smaller than her male counterparts, measuring somewhere between 2.5-5cm (1-2″). She can fly, but spends most of her time walking around and mating. Her final act before she dies is to make her way back to the place from which she emerged where she buries herself into the ground to lay her eggs, starting the cycle all over again before she dies.